LATO is largely powered by a great team of interns, volunteers and partners. Meet the Fall 2017 LATO interns, Nathan Sharon and Amber Williams. Nathan has been an invaluable asset to LATO for many years as an alumni and a natural leader; Amber is brand new to LATO though quickly becoming an amazing asset to the program, too. 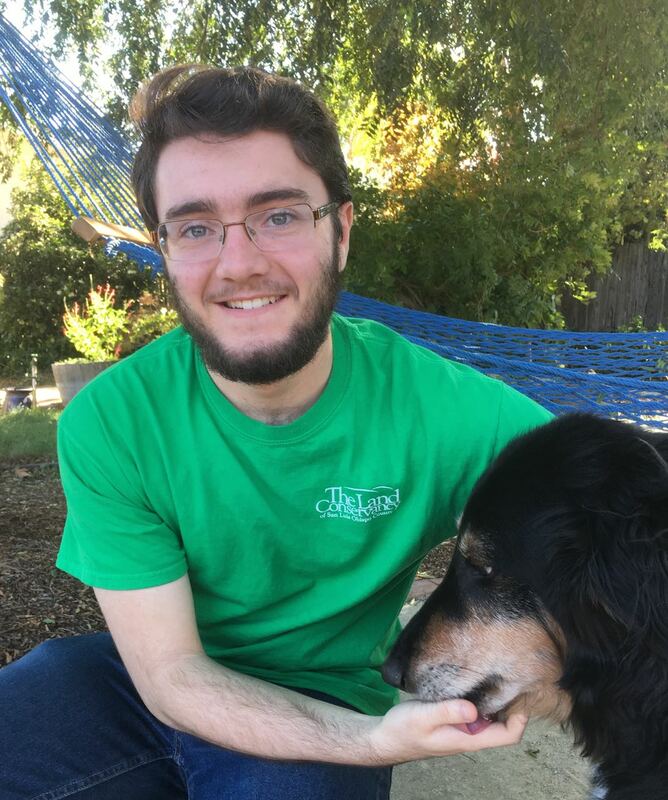 My name is Nathan Sharon and I am in my 2nd year at Cuesta College. I am studying anthropology and archaeology, with an emphasis on Native American cultures. I went to Santa Margarita Elementary School, and have been benefiting from and involved with LATO my whole life. I was an Oak Ambassador in grades 5 and 6, and this is my 3rd year helping to organize hikes and train new ambassadors. Beverly and the Land Conservancy have been some of the biggest and best influences on my life, and I hope to continue being involved as long as I can. Watching these students grow into confident and competent young adults is the most fulfilling thing. 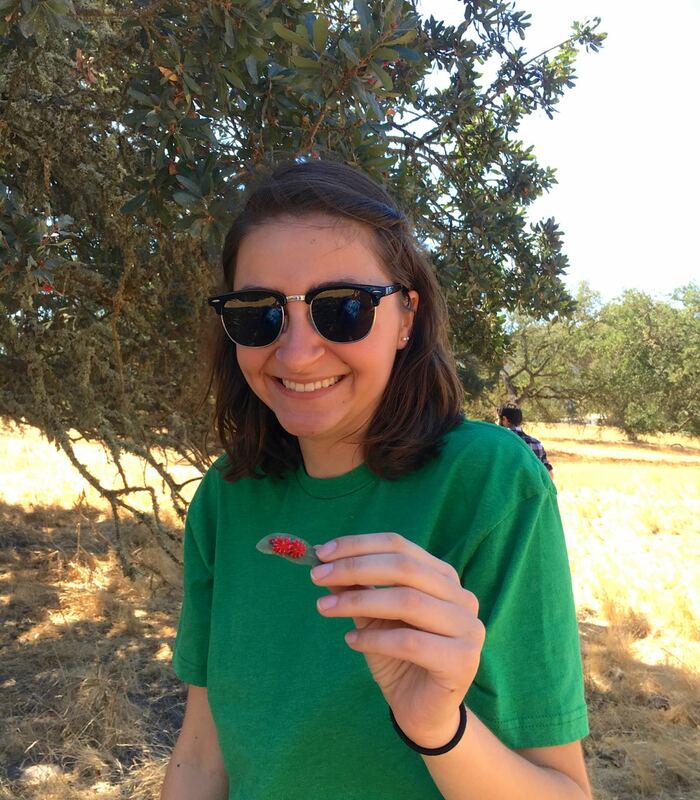 My name is Amber Williams and I am a 3rd year Biological Sciences student at Cal Poly, concentrating in Ecology. My plan is to become a High School Biology Teacher upon graduation. I grew up being absolutely fascinated with the world around me, and jumped at every chance I had to learn more about the ways in which it worked. I credit a great deal of my continued interest and success in my studies of Biology to the amazing teachers that helped build a foundation of knowledge to augment my natural curiosity, which is exactly why I am so excited to work with LATO. It is absolutely amazing to see the students’ faces light up when they grasp a new concept, and it is so rewarding to be a part of that process. 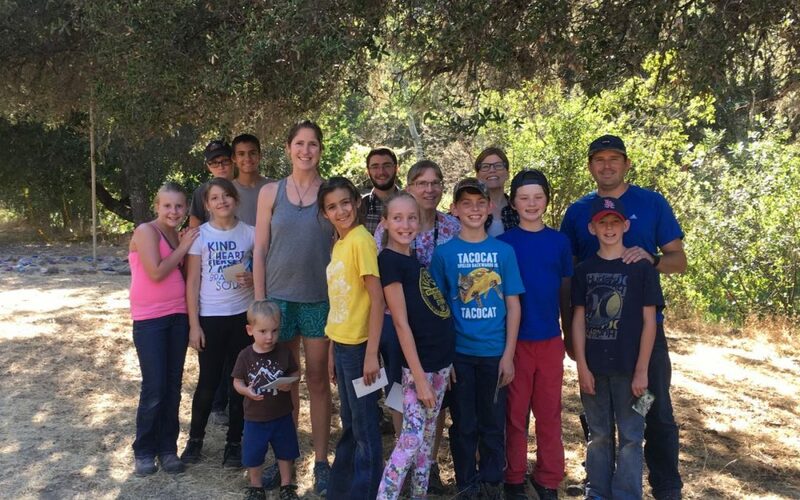 Oak Ambassadors representing Santa Margarita School and Ocean View School headed out to Camp Natoma, located in the Adelaida area W. of Paso Robles, on July 13,2017 to present a birding program for kids at Camp Natoma. Our audience included kids from Branch Elementary School. 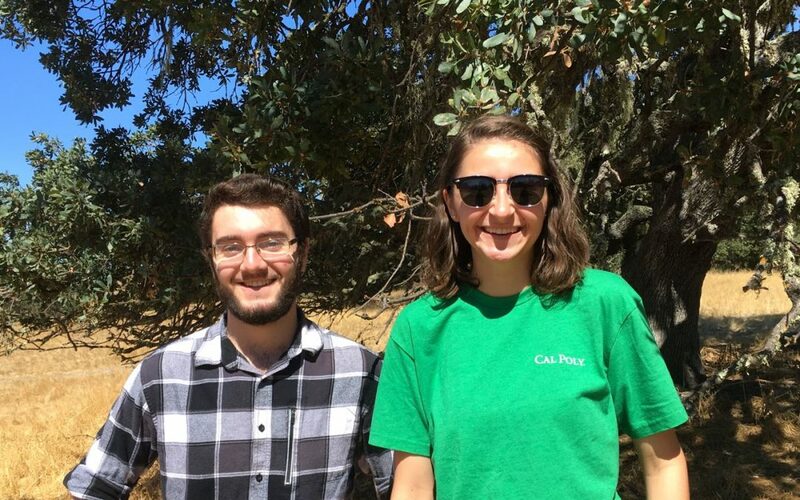 We shared “The Return of the Condor” story through a skit developed by Cal Poly senior project students Kelsey Tigh and Natalie Ifland in 2016. We also used Cal Poly bird specimens to teach kids about what a bird’s physical features, especially the beak (scientists call these bills), tell us about the bird’s diet and lifestyle. LATO intern Nathan managed the program with assistance from parent volunteers, awesome Oak Ambassadors and Camp Natoma Staff. Camp Director Emily Zbin and staff members Hillery and Heather gave us a very warm welcome and we hope to return next summer. Thanks to all! 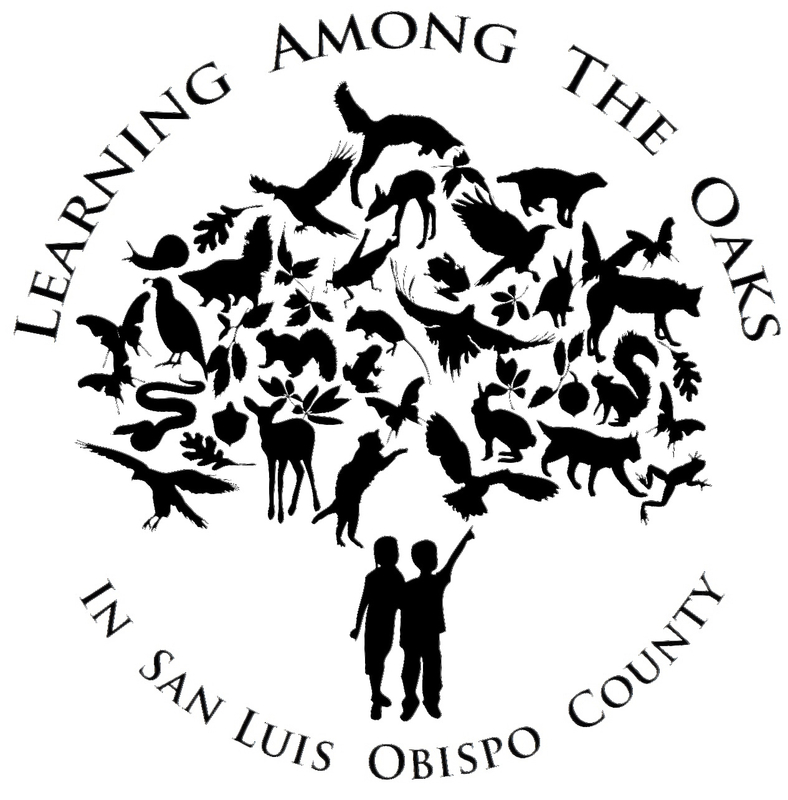 Ocean View School Oak Ambassadors Logan, Emme and Berkley used the LATO wildlife discovery backpacks to teach kids about local oak woodland mammals at the City of San Luis Obispo’s annual Jr. Ranger Camp on June 13,2017. 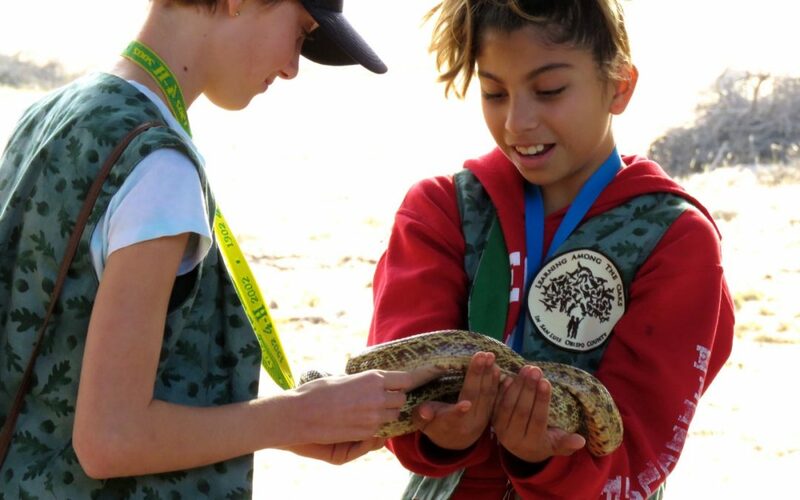 Jr. Ranger Camp has become a fun tradition for Oak Ambassadors. The Ocean View OA team did a super job, with support from LATO intern Nathan Sharon and LATO manager Bev Gingg. 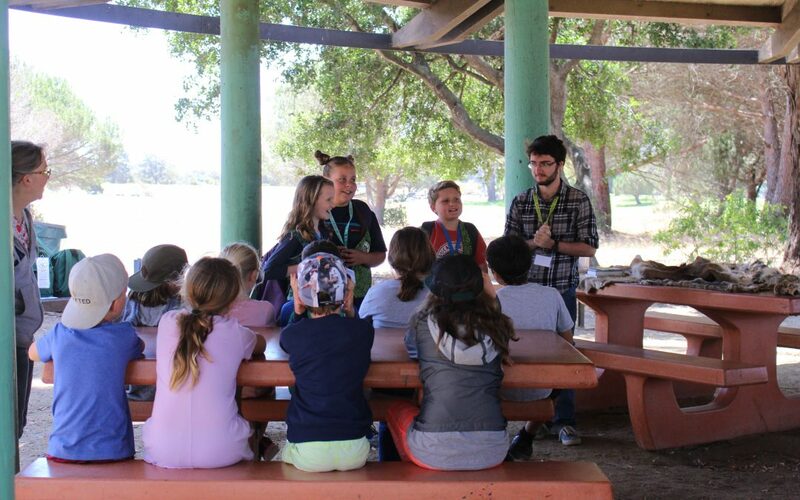 The camp was held at Laguna Lake Park in San Luis Obispo. Thanks to SLO City Parks and Recreation Dept. Rangers Paul Valley and Neils Grether for making this a fun experience. We hope to return next year! 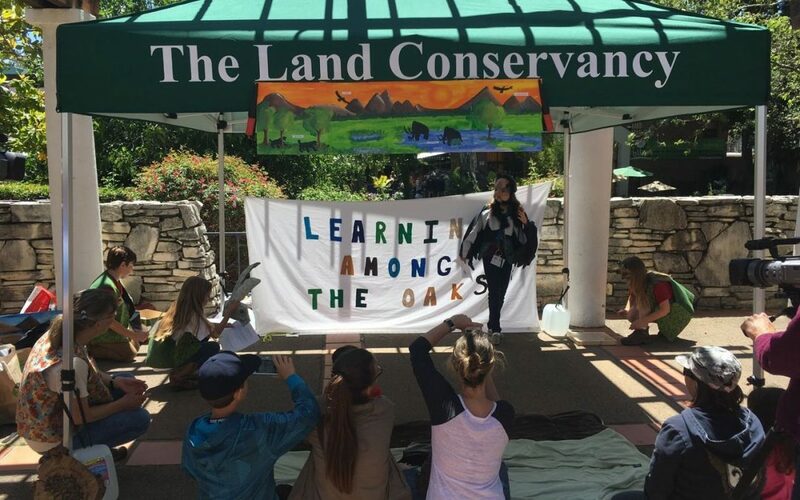 Oak Ambassadors from Santa Margarita School and Ocean View School came together on May 13,2017 to present nature puppet shows and skits at Mission Plaza in downtown San Luis Obispo. We were there for Wild in the Plaza, a special event celebrating the 30th anniversary of Pacific Wildlife Care. It felt like a family reunion because we saw many old friends and met new ones. All of the Oak Ambassadors and volunteers did a super job making this a fun and educational experience. Special thanks to LATO intern Nathan Sharon and to Alison and Dennis Jackson, Kiersten Demmond, and all of the parents ~ grandparents who supported this event. 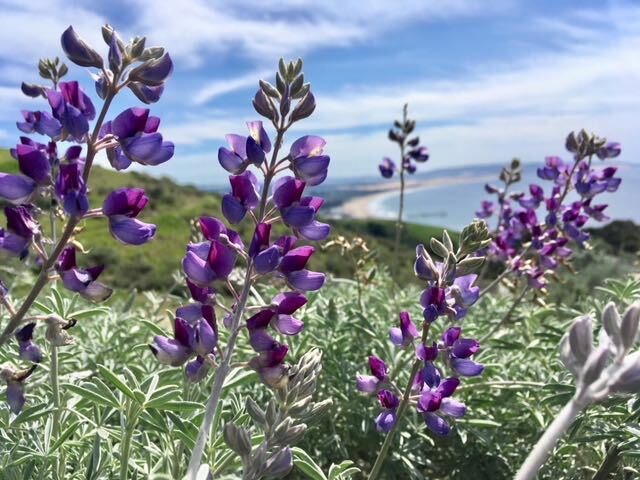 Enjoy the photos, shared by Alison Watt Jackson and Bev Gingg.